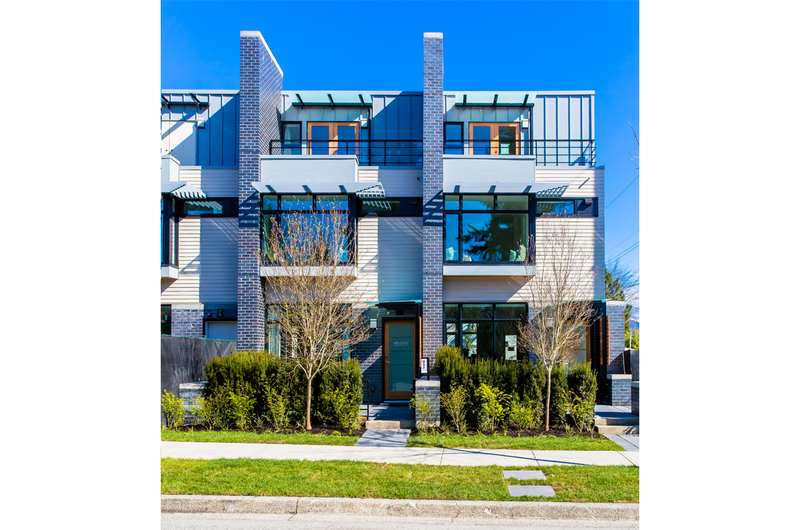 Located in the Oakridge area of Vancouver, ‘Oak’ features contemporary brick exteriors, natural timber canopy details, large windows and exterior patios with glass railings, all detailed with care to create distinctive homes with a unique appeal. 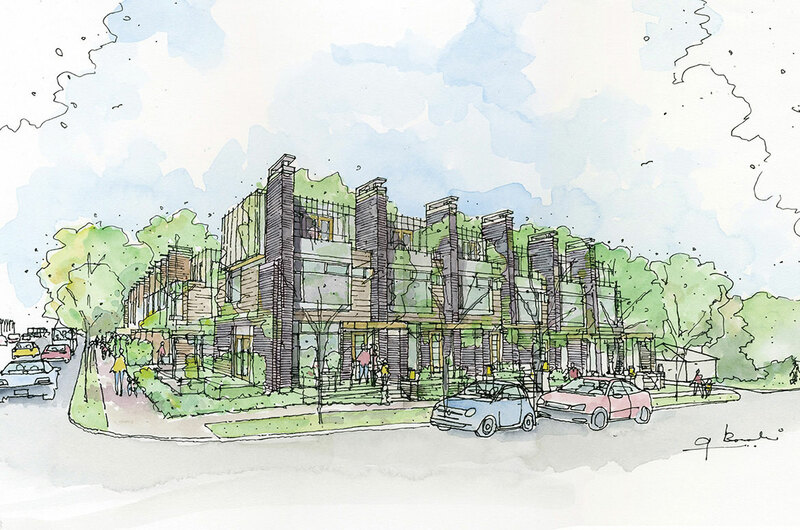 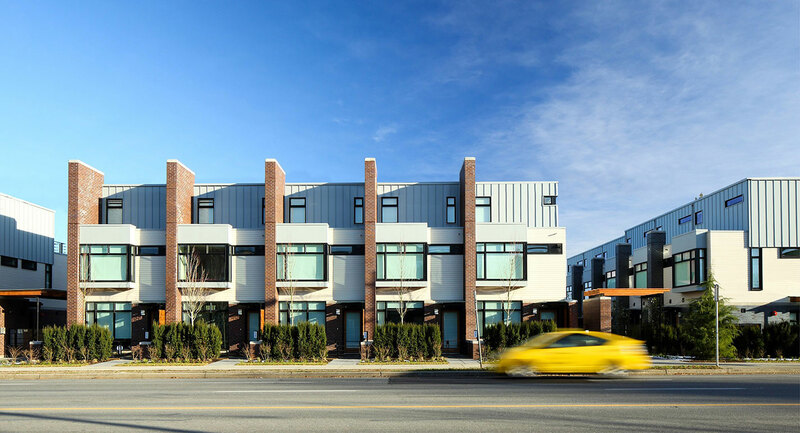 Thirty three 3-level townhomes are grouped around a generously landscaped central courtyard which features a common gathering pavilion constructed of brick, fir timbers and a glass canopy. 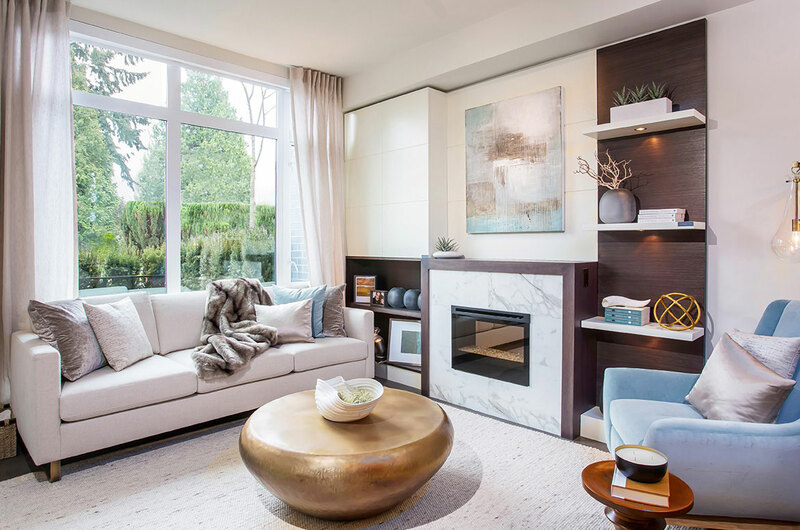 Each unit offers an open contemporary main level plan, 2 bedrooms on the second floor and a third floor master bedroom suite, complete with private deck. 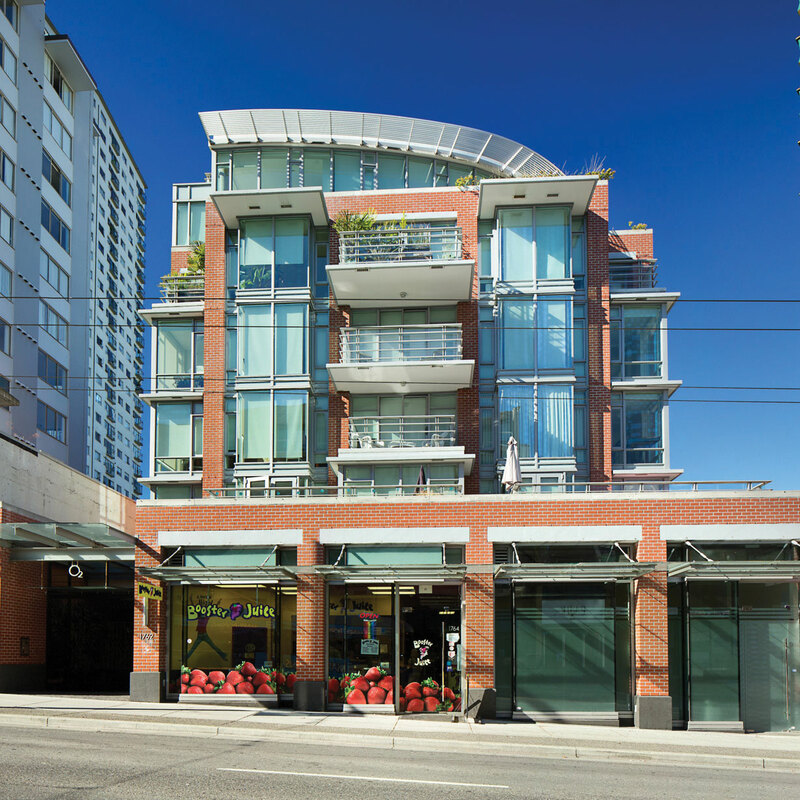 The units have generous in-home storage and a lower level den/office, providing direct individual access to the secured underground parking area. 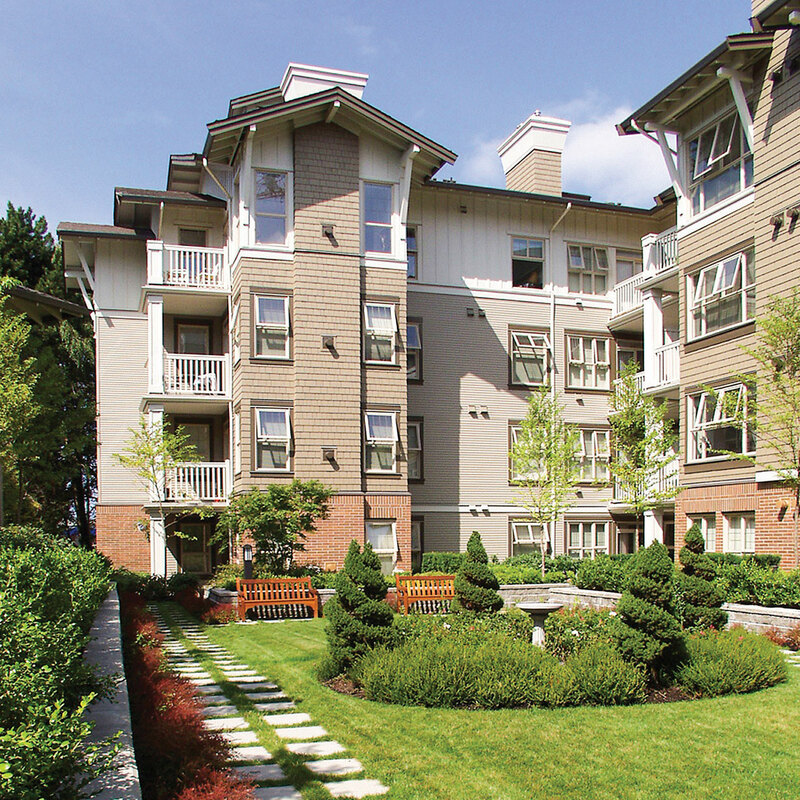 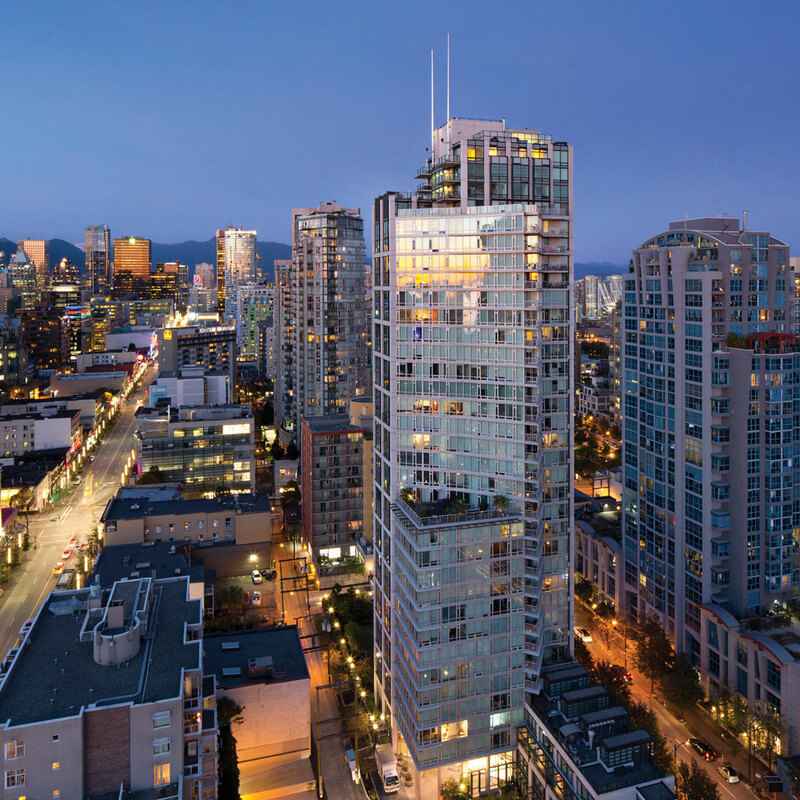 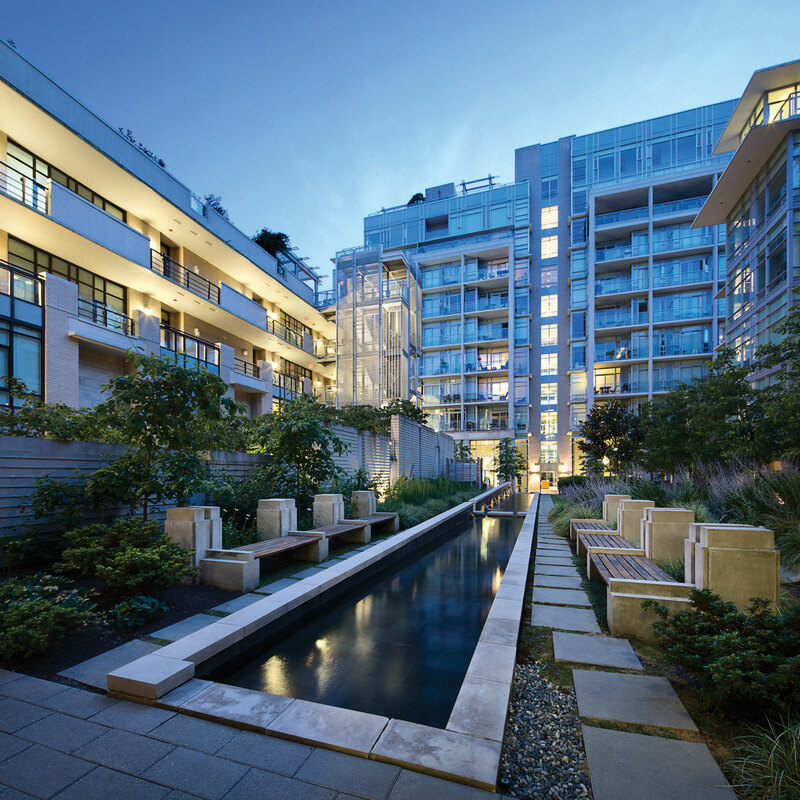 The project was completed in the fall of 2014 and meets the City of Vancouver Built Green Gold standards, with each unit equipped with a central heating/air conditioning system run by a high efficiency heating appliance, supplemented by an air source heat pump unit. 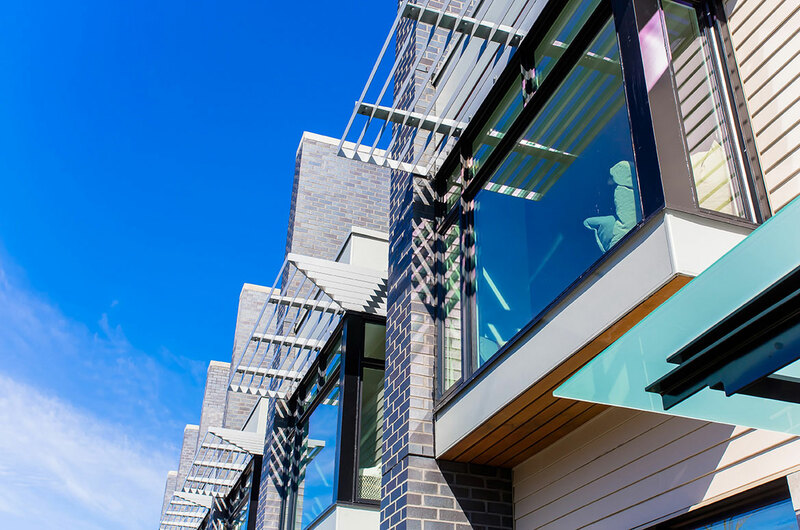 Large glazed windows allow for an abundance of natural daylight, further enhancing the appeal of originality evident in the development.